1. 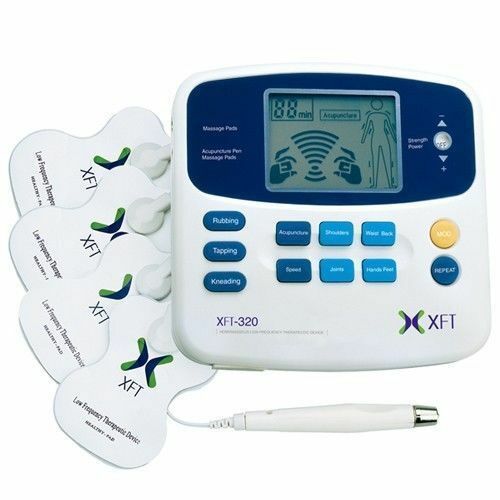 XFT-320 applies digital control system, it does not give any uncom-fortable feeling, such as stinging or prickling. 2. 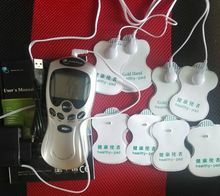 Its usage mode, body part, speed and time control are combined very well to make it convenient to be used. 3. 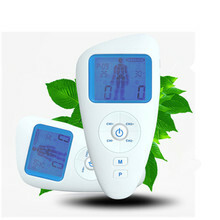 It allows users to select 7 different types of modes and speeds and even to make changes while in use. 5. If the adhesive pad is not attached properly, it is automatically turned off for safety considerations. 6. 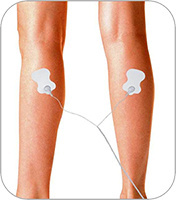 It will be automatically shut off in 15 minutes after the treatment. 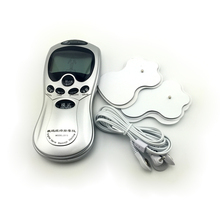 It is used to relieve muscle pain in shoulders, back, waist, hands, foots, legs and other parts of the body. 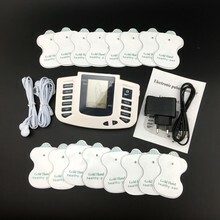 It comes with an electric acupuncture pen. The acupuncture pen can be used to stimulate the small part of the body like the knuckle. 1.Be sure to pull down thin film without words one-sided. 2.In two head line, it must stick to TWO pieces paster in the body AT THE SAME TIME. When using a four head line must stick to four pasters in the body. If it is four pasters but you use only 2pcs, then it doesn’t work. Change the wire head when you didn’t feel it. We offer 100% Customer Satisfaction , if you have any questions , please let us know and we will do our best to rectify the situation . We fully stand behind with all the items that we are selling ! When you receive your item , please leave positive feedback , we rely on you for our good name ! 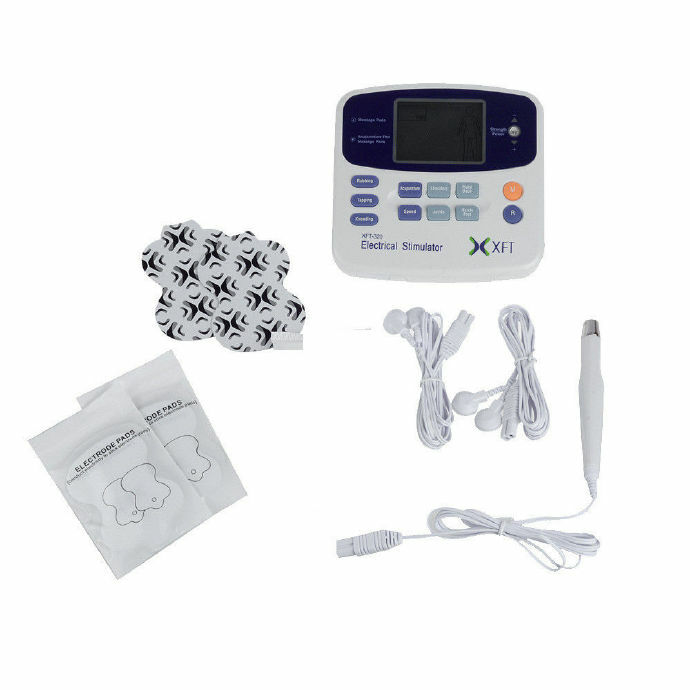 Because of the air transportation safe problem, the gel (message cream) is forbidden by air express, the kit doesn’t contain any gel, but please don’t worry, the gel is only used to wet the skin before you use the acupuncture pen. so, if you don’t use the acupuncture pen, you also don’t need the gel. 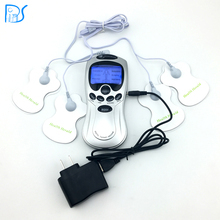 When you use the electrode pad, you can use water to wet the skin instead of the gel, it is also good way. If the orders haven’t arrived in time, please contact us, we will arrange a reshipment or a refund for you. If you want refund, please contact with our customer service and don’t open a dispute directly.